To enhance diagnostic efficiency and health information exchange, and broaden the geographic opportunity for physician, patient and all intermediaries involved in the health care delivery process. Our mission is to offer innovative products and services that will assist diagnostic facilities, physicians and all intermediaries of the health care delivery process to meet their challenges of providing high quality care more efficiently and profitably. UMEDEX has over the last 10-years developed an integrated cloud-based medical eco-system with clinical, operational and social tools, to greatly improve outcomes while reducing the cost of care itself. Our unique solution for families removes the stress factor from caring for the patient. Our one-of-a-kind approach of providing technology, contents and service is geared towards improving care by building a collaborative community of healthcare professionals and patients. Some of UMEDEX’s innovative technologies are US FDA (US Food and Drug Administration) approved. UMEDEX’s physician services division (AMRADNET) has earned the Gold Seal of Approval from the Joint Commission, the highest accrediting agency for healthcare in the USA. For over 10-years now, UMEDEX’s technology and services has been helping geriatric, chronic and other patients in the US. We are now bringing the same world-class solution to patients around the globe. 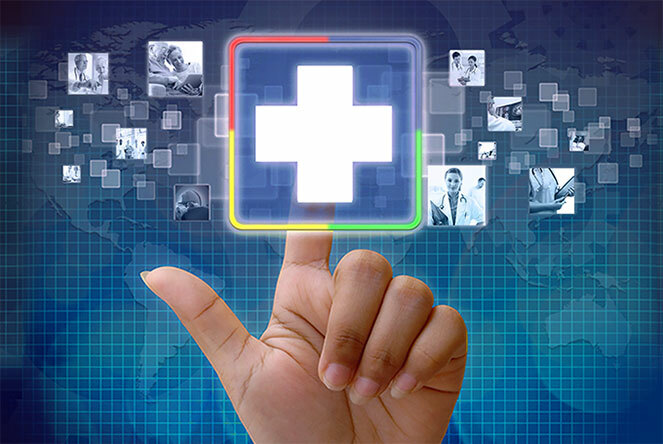 A cloud-based medical information and communications platform that is secure, reliable and scalable. A secure social platform for healthcare that connects providers, patient and their family in a real-time worldwide network. A Cloud-based comprehensive suite of clinical and operational solution for everyone within the Continuum of Care. Access to a large network of care providers, medical facilities and diagnostic service providers . Access to advanced clinical and diagnostic services. Access to plug & play medical devices that measures vitals and communicates with your care provider.